Around 14 million more people would lose health insurance coverage in 2018 under the new Republican healthcare plan, according to a budget analysis. The Congressional Budget Office (CBO), a nonpartisan group of budget analysts and economists, released its assessment on the long-awaited Republican bill. The CBO said the number of extra uninsured would jump to 24 million by 2026. The bill would also reduce the federal deficits by $337 billion over the 10-year period, according to the CBO. Those savings could help House Republicans sell the legislation to some conservatives who remain skeptical about costs. President Donald Trump has backed the plan, which would replace the Affordable Care Act (ObamaCare), but the new legislation has faced a backlash from Democrats and even some Republicans. 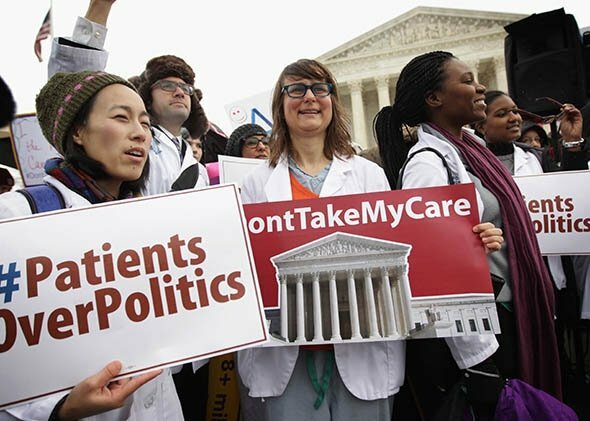 Republicans have said the goal of the American Health Care Act is to lower costs and that coverage statistics are misleading due to the high out-of-pocket costs under President Barack Obama’s signature health law. House Speaker Paul Ryan highlighted the CBO analysis’ conclusions on deficit reduction and decreased premiums. He said: “I recognize and appreciate concerns about making sure people have access to coverage. Health and Human Services Secretary Tom Price said the administration “strenuously disagreed” with the report’s findings on the number of people who would lose coverage. Tom Price contended the new plan would cover more individuals at a lower cost. Democrats jumped on the figures in the new assessment. California Representative Adam Schiff tweeted that the numbers in it were “appalling” while Virginia Representative Don Beyer called it a “disaster”. The CBO, along with the Joint Committee on Taxation, also found that five million fewer people would be covered under Medicaid, which covers low-income people, by 2018. An estimated 14 million fewer people would enroll in the Medicaid program by 2026. The report found that by 2026, an estimated 52 million people would be uninsured, compared with the 28 million who would not be covered that year under the current law.